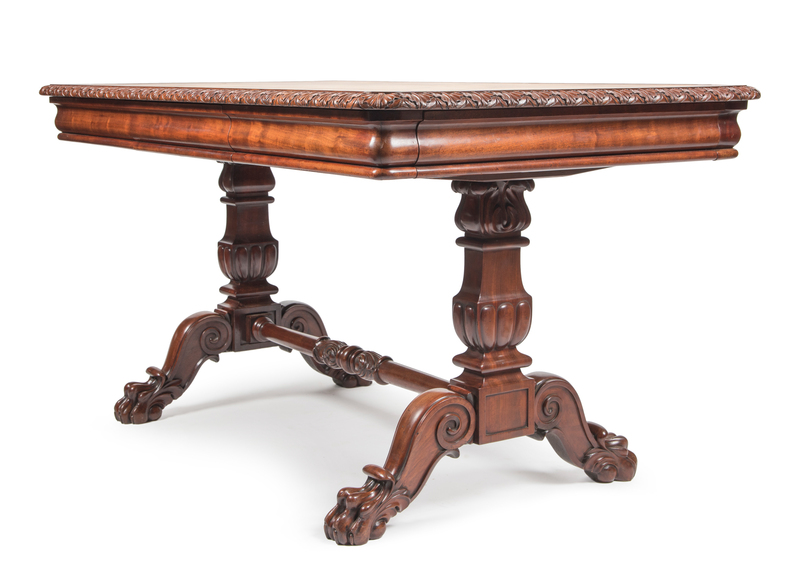 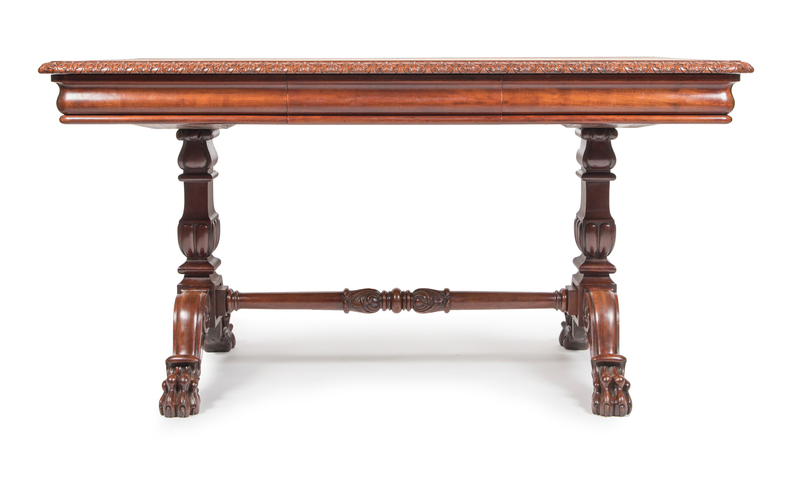 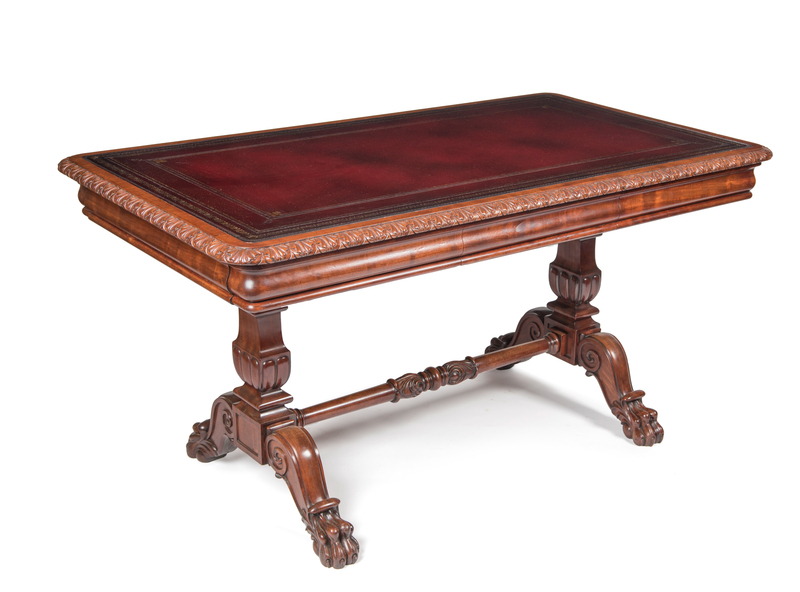 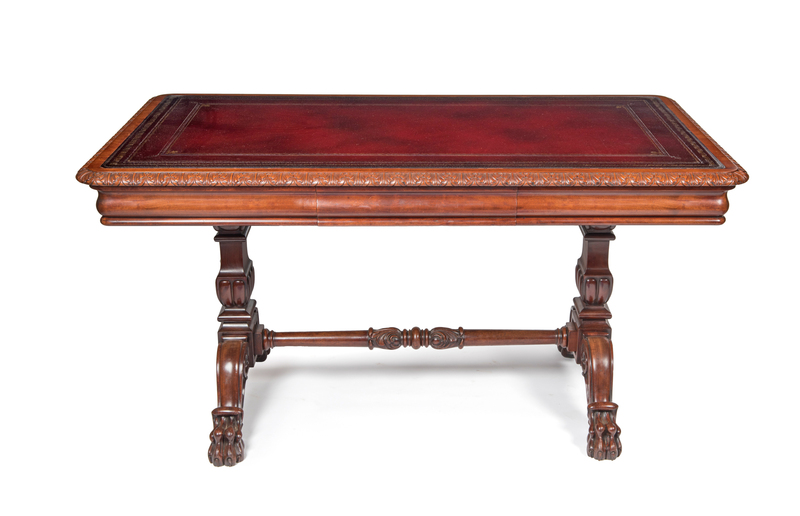 A very fine quality 19th century large English Gillows mahogany end support antique writing table. 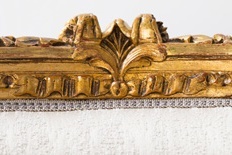 The tooled gilded leather top is surrounded by a well carved moulding in the form of acanthus leaves above an ogee shaped frieze housing drawers above square columns carved with reeds supported on out-swept scroling legs terminating in lions paw feet. 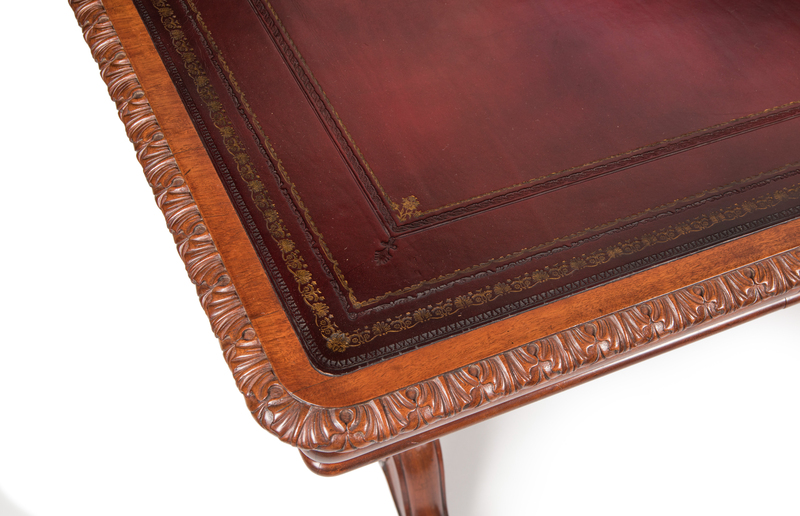 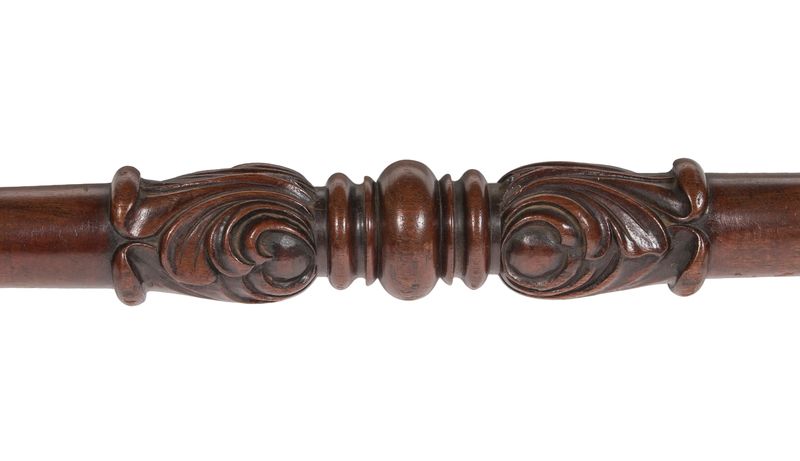 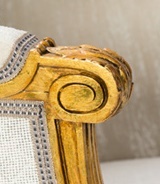 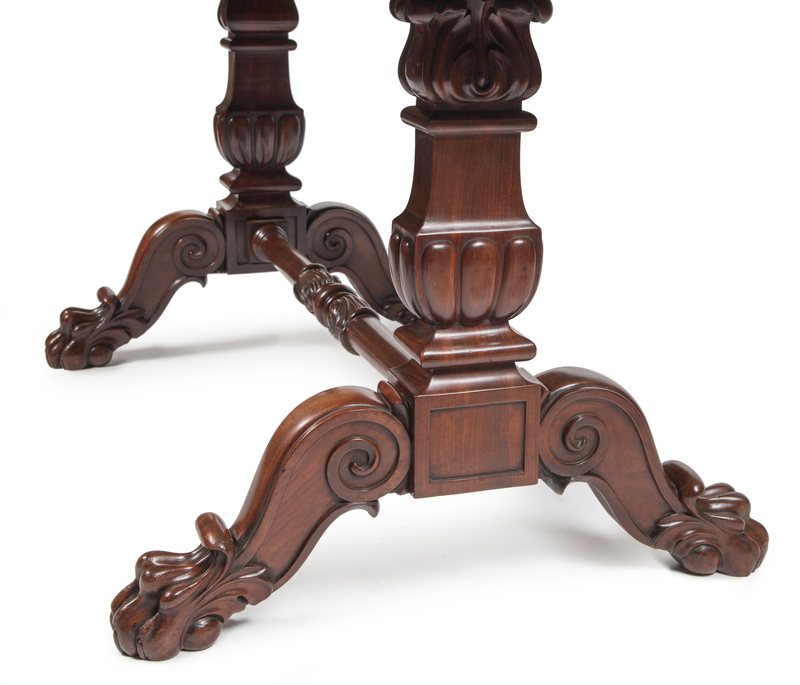 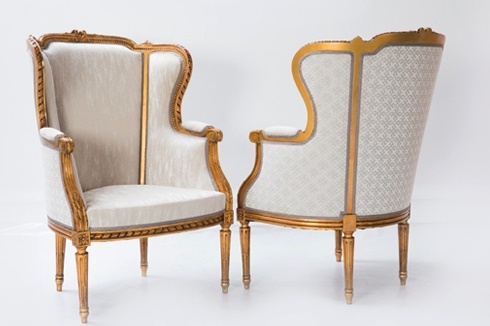 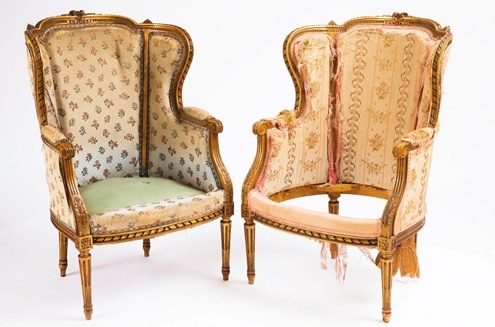 This piece has been restored in our workshop, is in excellent condition and ready for delivery.